Have you ever wondered why some moonbounce rental business companies manage to stay open and thrive while others windup shutting down almost directly after they open for business? There are many difficulties that can come with starting your own business, especially if you have never owned business before. It may surprise you to know, however, that one of the biggest reasons why some bounce house rental businesses shut down early and others succeed is organizing. If you are thinking of starting a moonbounce rental business, getting organized may be the best shot you have at ensuring that your business thrives. What kind of things do need to be organized about? 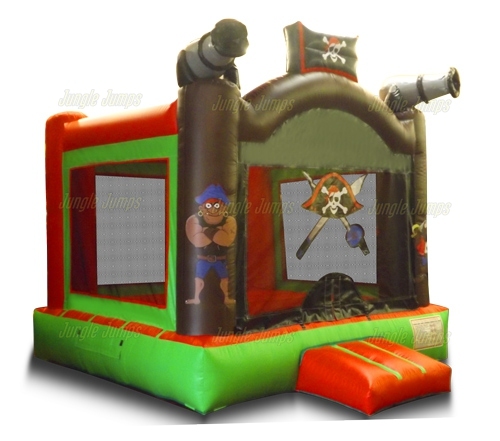 To start with you should be as organized as you possibly can before you even think to order any moonbounce unit. The first thing you should think about organizing is your finances. Do you have enough money to purchase the moonbounce unit straight out or do you need to borrow some money in order to finance your new business venture? 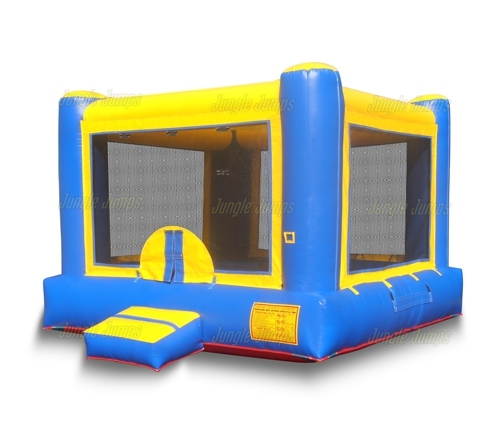 Check out different bounce house manufacturer websites in order to get a good idea of exactly how much money you will need to purchase one moonbounce unit. Remember that you will definitely need to have more than one unit if you plan on starting a rental business, so plan on having enough money to purchase two or three bounce house units or slides. The next thing you may want to think about organizing is your business plan. A business plan may seem like something that is very intimidating to have to put together, but there are many websites online that you can look to in order to get an idea of how you should create your business plan. How does a business plan help a moonbounce rental business? Not only does a business plan help to get you organized as you begin your business, it also helps do to keep your business on track as it grows. It is definitely possible to earn money by owning your own moonbounce rental business, but you need to make sure that you are as organized as you can possibly be before making any purchases. You should also do your best to make sure that you stay as organized as you possibly can once you open your business as well. If organization is not your strong suit, consider enlisting a friend or family member who is good at organizing to help you. One thing that many people do not realize is that it’s important to stay up to date with news and information when you own any type of business. People who own an inflatable moon bounce business, however, often do not realize that they, too, should stay abreast of most of the new information and updates that deal with their business. There are number of ways you can do this, but quite often bounce house rental business owners choose to belong to an inflatable industry organization. An inflatable industry organization is an organization similar to many others. It’s an organization that is focused on providing news, and updates, for people who are invested in the inflatable moon bounce business. But why should you consider becoming a part of any sort of organization? Competitive edge – When people start looking at businesses that they are looking at getting involved with, one thing they may be looking at is whether or not the business is affiliated with any sort of organization. If you are connected to an inflatable organization, you will definitely make your business look more credible and it will give you a bit of a competitive edge against your competition. Up-to-date – You may not realize that there are changes that occur quite frequently in the inflatable moon bounce business. When you belong to an inflatable organization, all of these updates and all of the new information out there is sent directly to your email which allows you to stay abreast of the news without actually having to do any searching. This saves you a huge amount of time and allows you to stay on top of your game and to keep your business relevant. Business ideas – Another way that inflatable organization can help you isn’t giving you business ideas. These organizations often hire experts and allow them to chime in on how you can make your business the best it can possibly be. This is a great way to get new ideas that will keep your business interesting to old clients and that will help you to attract new clients as well. After you have your inflatable moon bounce business up and running, you may want to look into joining an inflatable organization. You’ll find that it can be a huge help to your business and to your sanity as well! Bounce house rental business owners who live in states like Michigan, Vermont, or New Hampshire all tend to be a little bit jealous of moonbounce business owners who live in warm climates like Florida and California, and this is because people who live in the warm climates often have a much easier time not only renting their moonbounce units during the winter, but also storing them. If you live in a warm climate the only thing you will need to do in order to properly store your inflatable unit is to put it in a clean, dry area. If, however, you live in a colder climate you will find that you have a unique set of challenges in store for you. Quite often business owners who have a moonbounce rental business in a place like Colorado tends to look forward to the summer months when they know they will be able to rent their units out regularly. And, interestingly enough, even though many times people who live in these climates have to deal with five or six months of winter they tend to do a great deal of business as they often do not have to deal with much competition. Then the challenge as to where to store the unit in the winter arises. Unlike a business owner who lives in a warm state, a business owner who lives in a place where snow will accumulate cannot simply leave your unit out in the shed and hope that it will be okay. Doing so is definitely not a good idea. If you leave a moonbounce unit in an area like a cold shed you will be exposing your unit to the elements. Even if the unit does not get covered in snow, the extreme change in temperatures is enough to weekend, and potentially damage, the material that the unit is made out of. This can mean having to deal with many rips, and can even transform your once safe moonbounce unit into something very dangerous. If you do live in a cold climate you need to make sure that you store your unit in an area that is room temperature and dry. Try to make sure that it is not exposed to temperatures below 60°. This may require finding a place in your home to store the unit. And while that can be frustrating, dealing with the aftereffects of severe climate changes can be much more annoying than simply finding a place to put your unit in your home during the winter months. 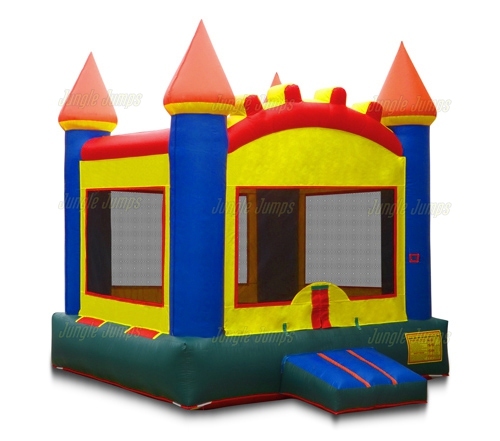 As bounce house rental business owners, you would like to believe that every child absolutely adores bounce houses. While it’s true that most children do love bounce houses, there actually a large percentage of children who are very scared of them. 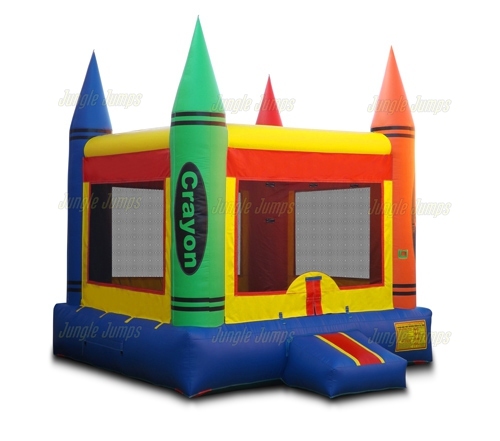 Younger children tend to be nervous around bounce houses simply because they are so large and because the pump that is used to inflate the house, and to keep inflated, tends to be allowed. But even a moonbounce manufacturer will tell you that there are a certain number of kids who are scared of a bounce house even when they become old enough to understand what the noise is all about. 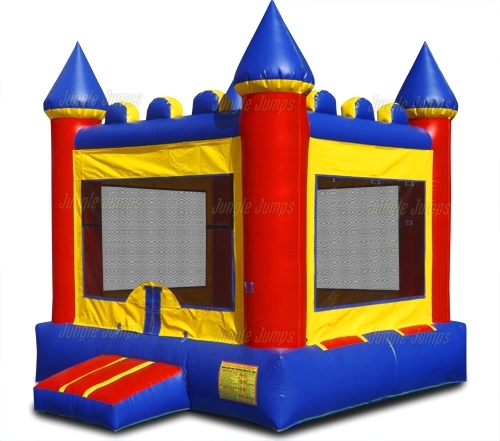 In most cases you will be inflating the unit at your client house and leaving it there to be enjoyed, but there will be some cases in which you will be with the bounce house the entire time is being used. There are a few things you can do if you happen to find a child who is nervous about the bounce house but who really wants to go on. First, it’s important to try to figure out why the child is scared of the bounce house. Some children are nervous because of the noise, some children are scared because of the amount of children party on the house, and some kids are scared of being in an enclosed area. Fortunately, it’s fairly easy to help a child over these fears once you know what the problem is. If the child is scared of the noise that comes from the blower, explain to them that the moonbounce manufacturer created the blower especially for the bounce house so that it can be blown up the whole time that it is being used. Show them the unit and, if you can, let them turn off and on quickly. If the child is scared of being mixed in with a bunch of other children, when the time is right ask the other children to exit the bounce house and allow the younger child to go in by themselves, or with a parent. Often they’ll find themselves so enthralled with the bounce house they will have no problem going back in with their peers. If the child is scared of being enclosed in the bounce house, explain to them that the moonbounce manufacturer created a Velcro closure in the front of the unit in order to keep everyone safe. Show them that they can see through the mesh and hopefully they should calm down enough to give the bounce house try.